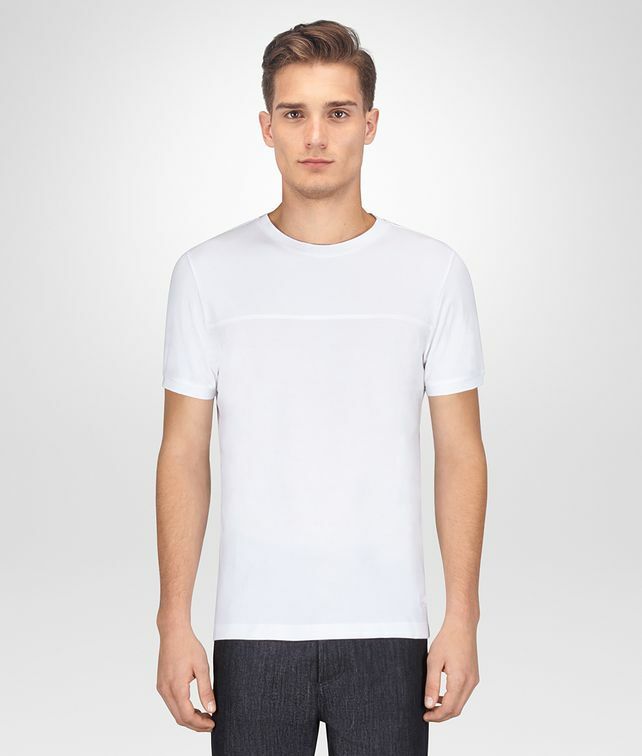 This monochrome T-shirt boasts an effortless silhouette, elevated by the double-texture construction. The tactile piqué and smooth jersey panels are woven from organic cotton and finished with ribbed trims. The Bottega Veneta butterfly is discreetly embroidered at the hem.